Leave you answer as a comment and check back on Sunday to see if you were correct. 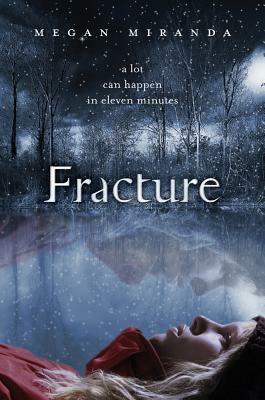 Megan Miranda debut novel Fracture is an engrossing tale of one girl’s back from death experience and the aftermath. She fell into the frozen lake and remained underwater for eleven minutes, shutting down her body, heart and brain. As she worked through her recovery, Delaney tries to get back to her normal routine, but deep down she knows that things are not the same. She feels different, almost like she is being pulled apart by some unknown force. 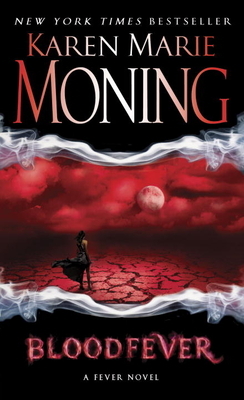 To make things worse for Delaney, she finds herself surround with death. 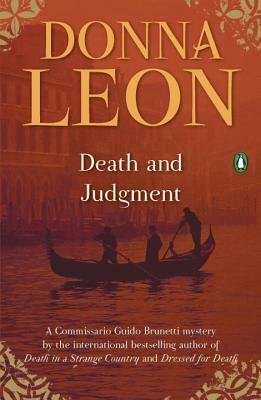 We have said this before, Donna Leon’s novels are terrific and Death and Judgement was no exception. Someone is killing the businessmen of Venice, and Vice-commissario Guido Brunetti has to find the murderer. 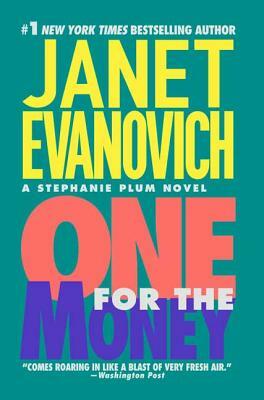 What I loved about this novel was that Brunetti was working on four different murders throughout several months. It made the story seem more realistic since Brunetti didn’t find the murderer within a few days, but really had to buckle down and piece every detail together. Luckily he had a little help with this one. Brunetti started to discuss the cases with his wife, and before long she made a connection that linked all four together. Leon examined how a Vice-commissario’s, or detective’s, family plays into the investigation. She specifically focuses on Brunetti’s daughter and wife. This bit of family drama and family values added just another wonderful layer to the story. As always, Leon’s characters are so well refined that it is easy to imagine them as real people. She shows the good sides, as well as the bad sides of the character’s personality, making them become a complete person. And it wouldn’t be an amazing read without the atmosphere of Venice that Leon creates in her novels. It is so easy to get whisked off to Italy and submerged into the mystery with her writing. If you haven’t had the pleasure of reading her books, do it today. 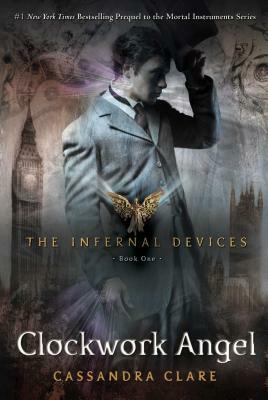 Clockwork Angel by Cassandra Clare is a riveting Victorian paranormal tale. This series is a prequel to Clare’s Mortal Instrument series, but really each one stands perfectly well as it’s own series. (You don’t have to read one in order to enjoy the other.) This series does introduce new family members or characters that are in the Mortal Instrument series, giving a little taste of the older generations. 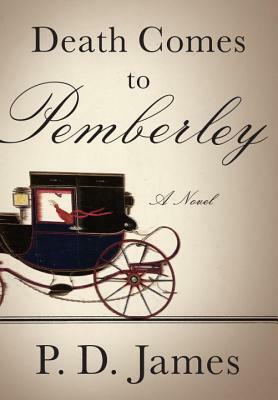 Tessa has set out for London to be reunited with her brother, but things go terrible wrong when she lands and two ladies greet her at the docks instead of her brother, who in fact has gone missing. What Tessa doesn’t realize, is that she is being kidnapped and forced to learn about her special abilities. Thankfully, Will and Jem stumble upon Tessa and immediately take her back to the London Institute for safe keeping. Once there, Tessa meets new people and a whole new world that she must somehow learn to accept, all the while continuing her search for her brother. This was a great beginning to the trilogy (so sad that it is only going to be a trilogy). I love the world that Clare creates. You get a sense of the dark dreariness of London, but also the wonders of the industrial age where new inventions are springing up everyday. I wouldn’t classify this as a steampunk story (no alternate history to speak of), but Clare stills adds the flavor of mythical inventions that we all love in our steampunk fantasies. The characters are incredibly engaging and have great interactions with each other. I find myself laughing at their sarcastic comments to one another and than immediately wondering what they are brooding over. Needless to say, I am really excited to see how Clare continues to develop the characters, specifically Tessa. Clare did a wonderful job of keeping me reading, she never stopped the excitement as the characters continue on their adventures. I cruised through the entire book and quickly got Clockwork Prince to continue the fun.